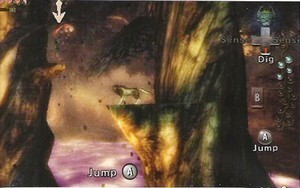 "Link, transformed into wolf, can climb on high wallsYou must use button A in order to jump of branch in branch in the wood of Ordon, in the shape of Link-WolfTwilight World seizes the life of the alive creatures and transforms them into another thingThe people absorptive in Twilight World are actually still present in their place of origin but we do not see themIn order to see them, it will be necessary to use the directions of Link-Wolf for thus revealing them, and also to find objects secret.Link-wolf can travel in Twilight World AND the real world.This capacity will be resolved only at the time of a special search. 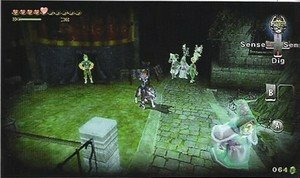 Midna cannot live in the real world, but you can call upon his spirit so that this one helps you in the real world.The part where Link-Wolf is controlled was not opened with the press. Nintendo wants to still maintain a secrecy concerning this part of the playUntil now, nobody apart from the employees from Nintendo could played only one second in Twilight World." I may need to take a week off of work! (Or call in sick). Simply put, this is goign to be THE title. Yeah, I think everyone will be getting sick at about the same time! Its going to be a wild and long ride for sure. I can't wait.